You don't really have to become a full-pledged Catholic to like or love the latest movie offering from JesCom Productions, entitled, "Ignacio de Loyola". You just have to look at it that this movie is a proud all-Filipino production movie with Spanish actors and actresses who trusted them to create this very ambitious project. "Ignacio de Loyola" is not your typical saint movie with (spoiler alert!!!) martyrdom and tortures and all the hardships that some of the well-known saints had suffered. Iñigo de Loyola or more popularly known as St. Ignatius, was a solidier and a sinner, before he became a preacher, an educator, and a saint. His teachings and different principles of the Catholic scriptures and readings made him a threat at first at the Catholic church teachings that almost pay for his life and some of his brothers. But his different ways and methods also became a main ingredient in creating the society that most Jesuits around the world followed. The filmmakers of this project is headed by one of the Philippines brilliant directors of this generation, Paolo Dy. 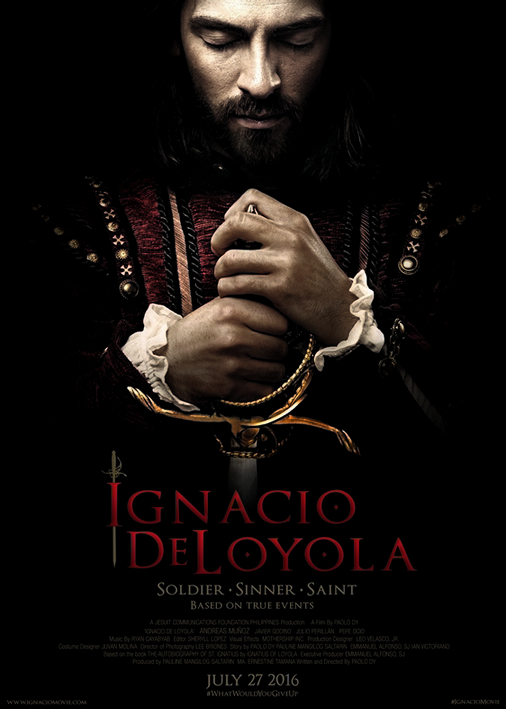 His team has created "Ignacio de Loyola" through the collective efforts of Jesuits Society members, generous donations from different people, and anonymous donors who made this film possible. Truly is, a miracle can happen through helping hands and paying it forward. Anyway, back to the film. 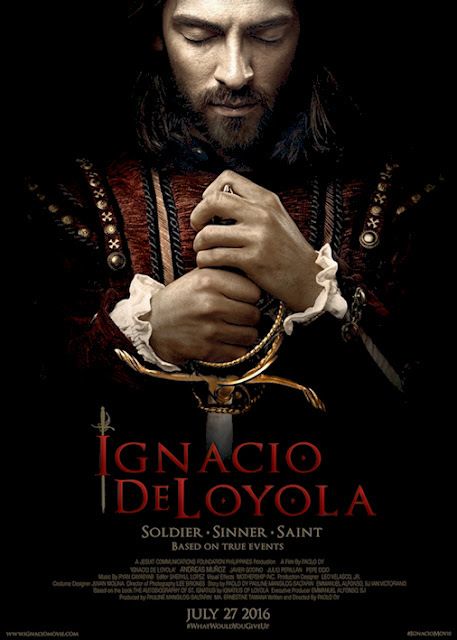 Overall, "Ignacio de Loyola" is not really entertaining but moving and inspiring. It can touch the lives of many people who are having troubles with their spiritual selves as what the actors and actresses of the film did. It teaches us to let go of the things that makes us unholy and live a simple live instead. An 8 out of 10 stars rating not just the teachings but for the overall connection and significance of the film.